One really “welcome” aspect for climate change here in France is “how we will meet the goals” of our climate change commitments when most of our greenhouse gas emissions come from our cars & scooters, not power production as would be the case in most countries. That means if we are going to do our part, we will have to cut the use of petroleum based transport systems massively! To even put a “small” dent into the pollution, whether you count that pollution as CO2 or other toxic emissions, our cars will need to be electrified and/or shared in some new “type” of system. This, in and of itself, is one of the most encouraging things for me as it definitely means the EV will have to be taken seriously. 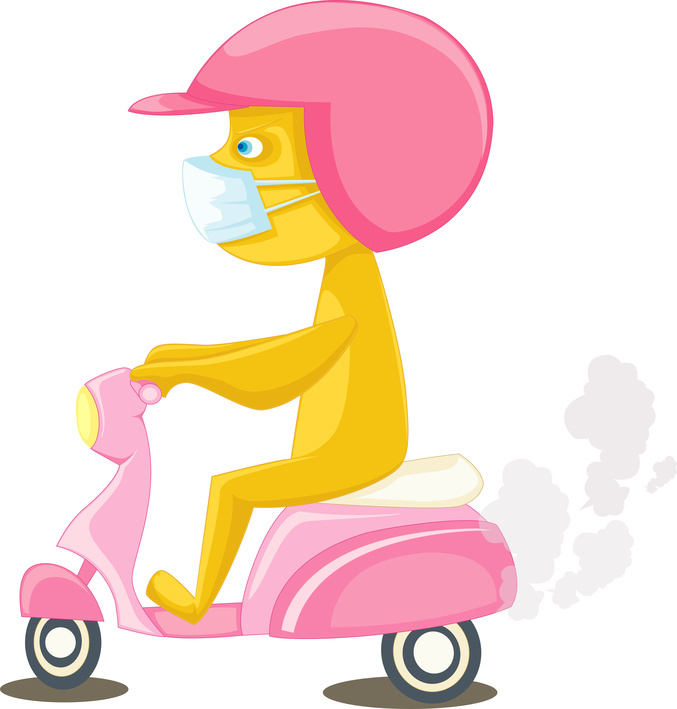 Unlike most of the countries in the EU, and even I would dare say the world, almost all of the cities in France are plagued with air-toxicity levels that are directly linked to tailpipes, not smokestacks. Exacerbating the problem is noise pollution, road rage linked to over-saturation of vehicles, and of course our favorite daily activity, the battle for parking that is simply nonexistent. All of these things cry out for a better understanding of how EV technology is well suited for people that live inside a city or its perimiter; a topology that would not have to fret over EV range or charging time constraints. Moving to an electric based transportation system for inner-cities is simply common practical sense; yet embracing adoption by consumers is maddeningly slow moving. We indeed have installed many stations for charging EV’s in most of the cities around France; but alas many of these sit empty and/or under-utilized. One of the things you learn by living in France is how much we are an “electric” society. Everything in your daily life from the cooktop, oven, heating and even the BBQ is electric! It took me a while to adjust to an electric BBQ on the poolside being from California, and even longer to explain that it is common place to my family and friends back state side. So, if we are so entrenched in electricity and the prices are reasonable and the generation is “clean power” what are we waiting for? If you happen to live in a city, you know that most of the city is cluttered with parked cars doing nothing. You also know that finding a parking place is a skill that one has to acquire by living in that city for a while and learning the secrets. Adding to the equation is the “cost” of parking; which is either quantifiable by excruciating painful frustration in life, or monetary dispersement thru fees and of course fines. I am of the belief, having owned an EV for nearly 4 years, that parking is one of the “golden keys” to attracting or adoption of EV ownership. It was the sole reason I purchased my initial EV and remains a big motivational factor in the ownership of my car today as I can charge cheaply or for free in many shopping centers and public places. Advocation does not only have to come thru generous “subsidization” of ownership per se. I do believe during the nascent phase of the evolution of the Electric Vehicle ecosystem, some rebates are a matter of due course. However, I think that we could do far more by simply adjusting how we look at prioritization of parking for EVs and some stronger regulation on dirty cars entering the densely populated urban area as have become common practice in Paris, Munich and NYC. 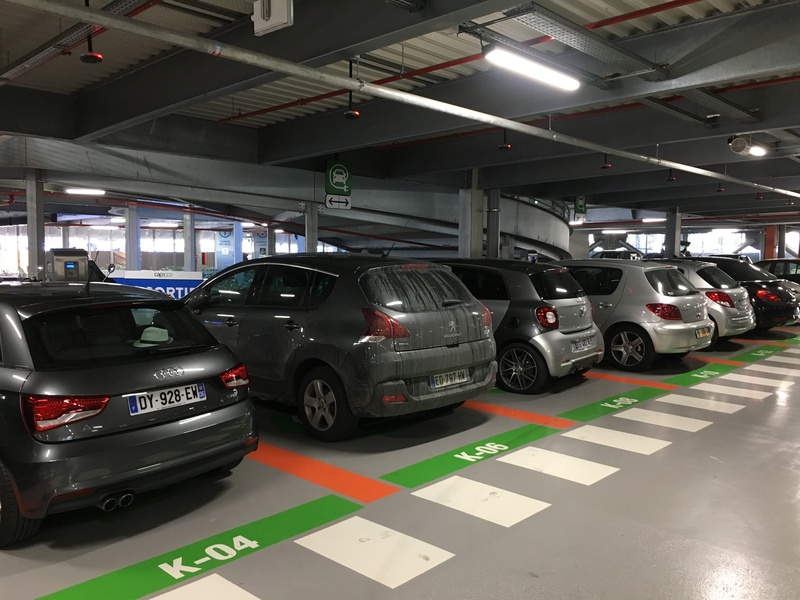 Many of our EV charging stations around Nice in the south of France are packed on any given Saturday; but before you get excited that EV use has taken a foothold, have a closer look at the photo. Those are not EV’s in the slots……..I typically find 9 times out of 10 the charging stations are filled or blocked with diesel cars because they the parking spaces are too irresistible for drivers searching for a space to pass up. 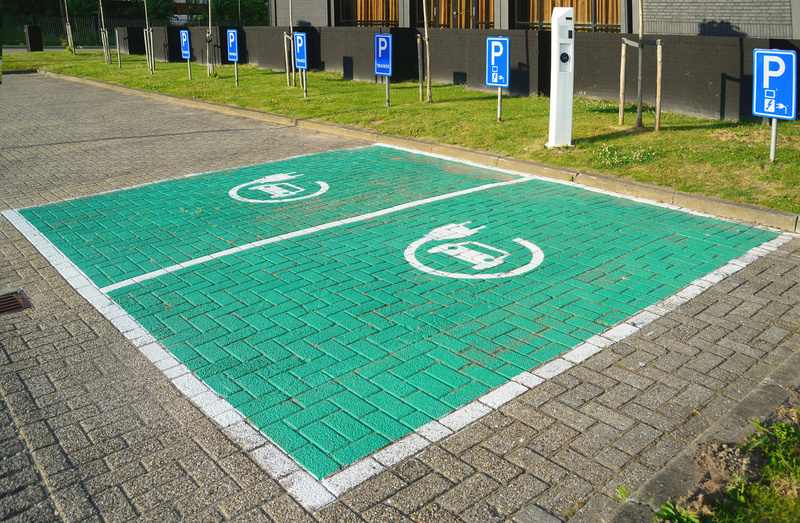 The EV stations are clearly marked in bright green color with big clearance space to maneuver, they are typically clean (no oil drops) and usually close to the entries of buildings, just like dedicated handicap parking spaces. Yet, when I have asked drivers why they park in these EV spaces and not the handicap? they often tell me because in the handicap spots you can get a ticket or have your car towed! So, while enforcement sounds great, it is a resource that costs and is difficult to monitor. I am of the mind that if we had more EVs on the road and in the stations, they in some ways would be “self-policed” and would become more valued when utilized. That does not mean I think we should ignore abuse, not at all. I actually think the fines are the wrong way to go and it would be better to hit the true “pain point” of drivers; the penalty points on your drivers license. Fact: Far less than .05% of the cars in the inner-cities are EVs on the road and we probably need someplace around 40% to change the toxicity levels in any meaningful way amounting to meet our goals. Another frustrating phenomenon is that EVs are even under attack form ecological minded people themselves! Many ECO-techies confront me when I park to charge and say my EV makes more Nuclear power usage! For some, on the side of “green energy” it is far better to have diesel and move our Nuclear power to say gas or worse coal (like in Germany); brilliant idea! Even with the decommissioning of Nuclear based power plants and adding in energy production from solar, thermal, and wind generation systems, we have a zero effect on greenhouse gas emissions in those swaps. Thus, we will need to slash our petroleum based transport significantly to meet any objectives we have committed to. 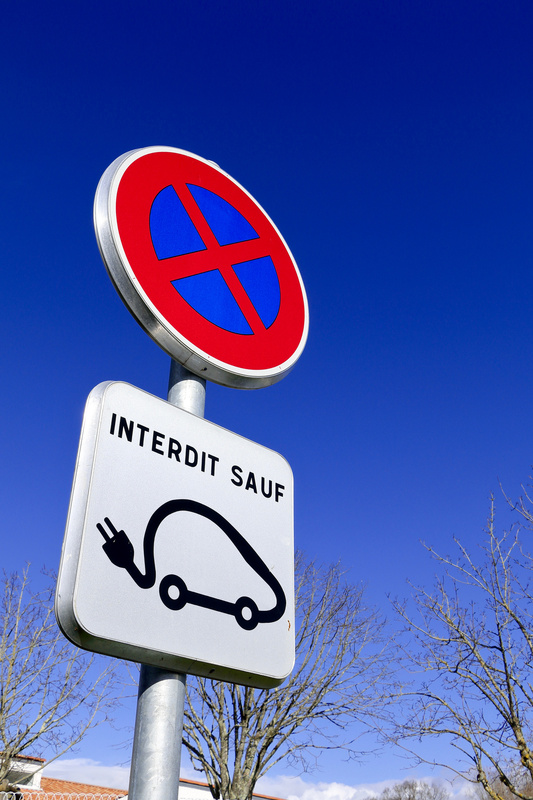 It will be interesting to watch how we deal with our pollution problems here in France and if in fact the Electric Vehicle will be the golden goose or the dead duck. We have signed up for a hefty amount of change, in terms of cutting our emissions and if we hold to that agreement, this obviously means the diesel is going to be on some presentation deck, in some meeting room, being shown to some political leadership as the main root that has to be pulled from the dirt it is based upon.